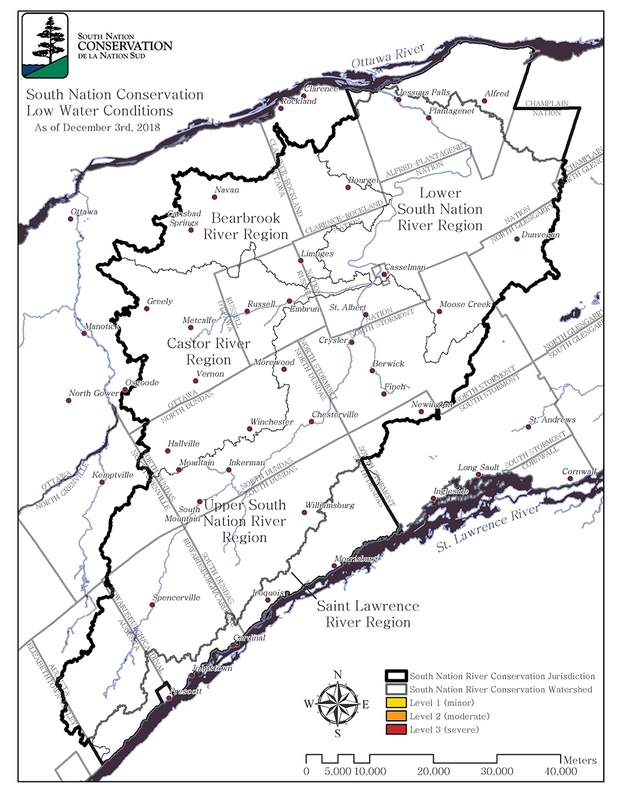 South Nation Conservation (SNC) has lifted the 5-month Drought Advisory triggered by a dry spring and summer. 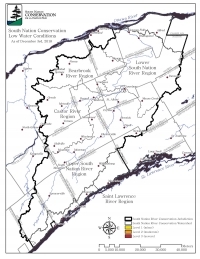 Since July, SNC’s Water Response Team composed of representatives from municipal and provincial government, the agricultural community, and other special interest groups frequently met to discuss the drought conditions and the noted impacts to the community. The drought advisories began in July as a possible water supply problem (Level 1) was identified. As the dry weather continued, the Upper South Nation River Region was upgraded to a moderate drought advisory (Level 2). Thanks to a wet fall, the ground is saturated and rivers and streams are flowing, which prompted SNC’s Water Response Team to lift the drought advisory. SNC has noted the effects of the drought may be felt for a few years on trees. SNC completes survival assessments of tree plantations and noted a lower first-year survival than normal. In particular, some hardwood seedlings suffered premature leaf drop and some conifers dried up. SNC will continue to monitor precipitation and streamflows and will provide updates as required. For more information, contact: Omar Kana’n at 1-877-984-2948 ext. 309, .